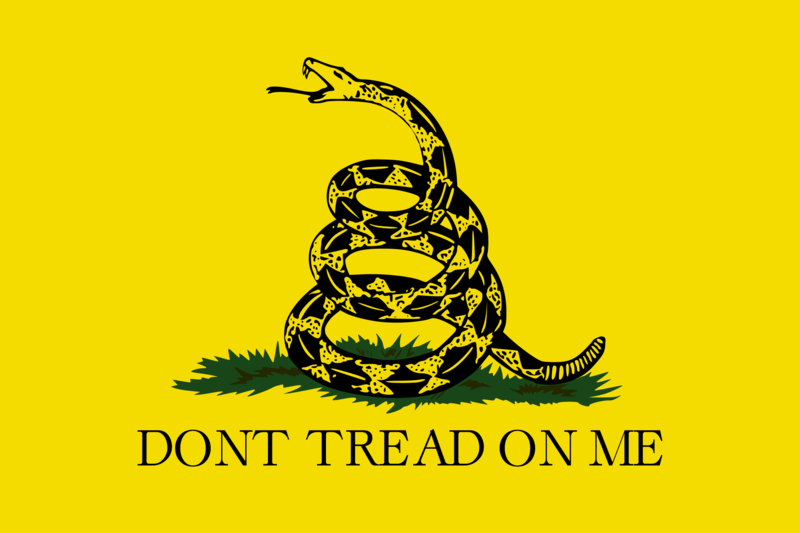 The Gadsden flag was designed in 1775 during the American Revolution war by American General Christopher Gadsden. 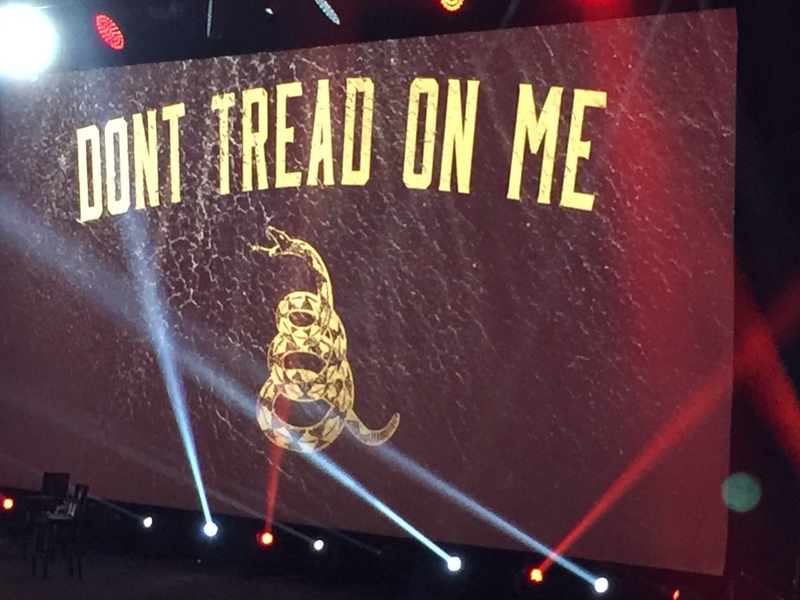 The historic flag depicting a coiled rattlesnake ready to strike on a field of yellow with the words “Don’t Tread on Me” is considered to be one of the first flags of the United States. The first known use of a snake as a symbol of the American colonies can be traced back to Benjamin Franklin when he published a satirical commentary in the Pennsylvania Gazette in 1751. His article in the Pennsylvania Gazette suggested the colonists send rattlesnakes to England as a way of thanking the British for sending convicted felons to America. Three years later in 1754 Benjamin Franklin used the snake again in a less humorous manner. 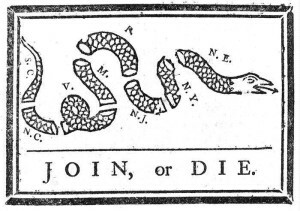 In the very first political cartoon published in an American newspaper Benjamin Franklin illustrated a snake cut into eight sections. 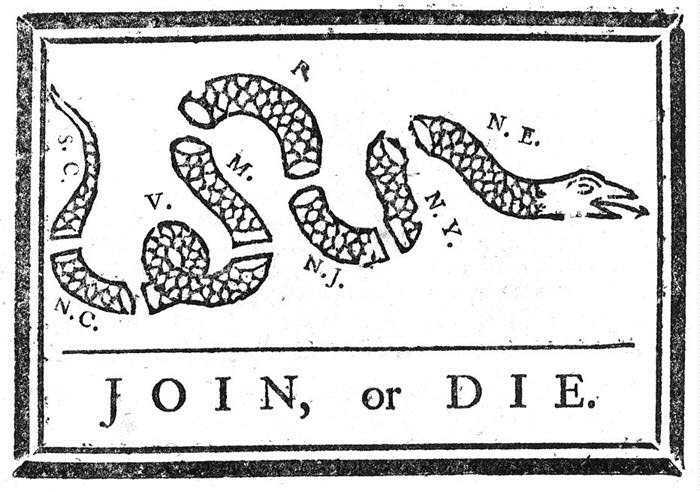 The sections represented the individual colonies with the words “Join, or die” underneath. 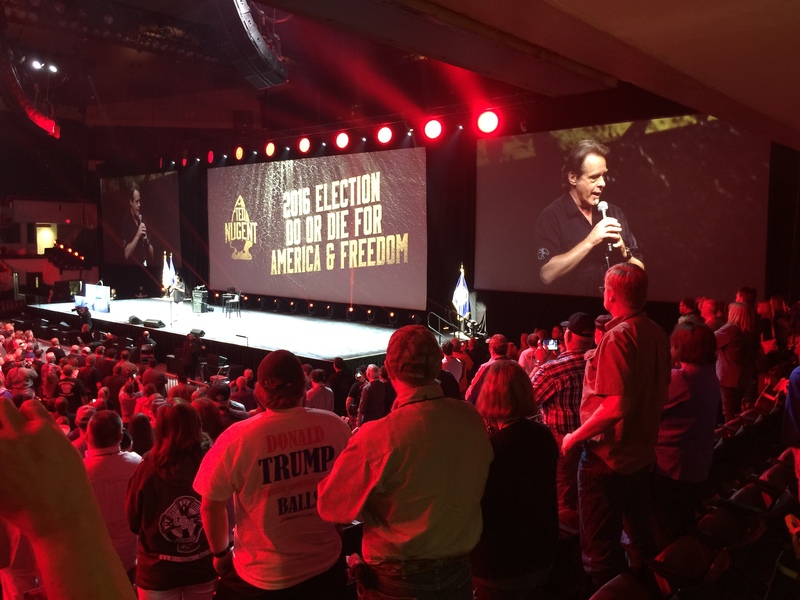 The Gadsden flag with its many variations has been used throughout our history as a symbol of American patriotism, independence and freedom.